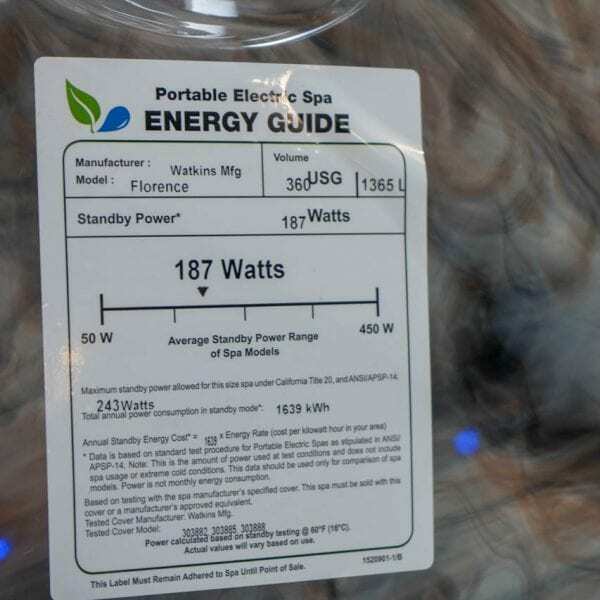 How much energy does it take to run a hot tub, The Spa and Sauna Co. answers. Have you ever wondered what the electrical cost to run a hot tub is? To help consumers make informed decisions, Hot Spring Spas offers a Monthly Operating Cost Estimator with sample temperatures and electrical costs. Click Here to estimate your monthly costs. These figures were determined based on a hot tub set at 102 degrees and used 6 times a week. In this scenario, the jets were kept on for 15 minutes and off for 15 minutes. For instance, a Hot Spring Envoy Highlife Spa will cost approximately $15.53 to operate if the climate is that of Las Vegas, NV, with an estimated temperature of 70 degrees and energy cost of $0.12 per Kilowatt hour. If you choose a Jetsetter Highlife, it would cost about $13.74, using those conditions. The Jetsetter is a smaller hot tub, however, so there is less water to heat and less surface area for heat evaporation. The energy efficiency of portable hot tubs is listed on many of the hot tubs we sell here at The Spa and Sauna Company. You can see the Portable Electric Spa Energy Guide on the inside shell of the Caldera, HotSpring and Freeflow Spas offered here. 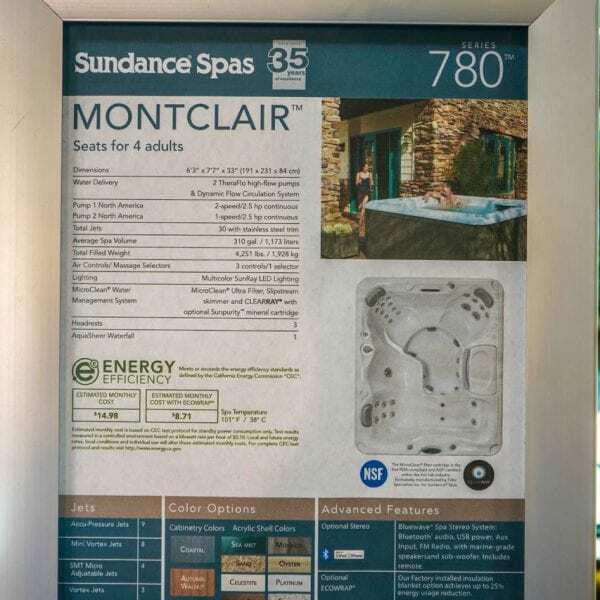 It is listed on product signs next to the Sundance Spas we sell. All the acrylic hot tubs we sell are highly energy-efficient, and have foam insulation to help deter heat loss. 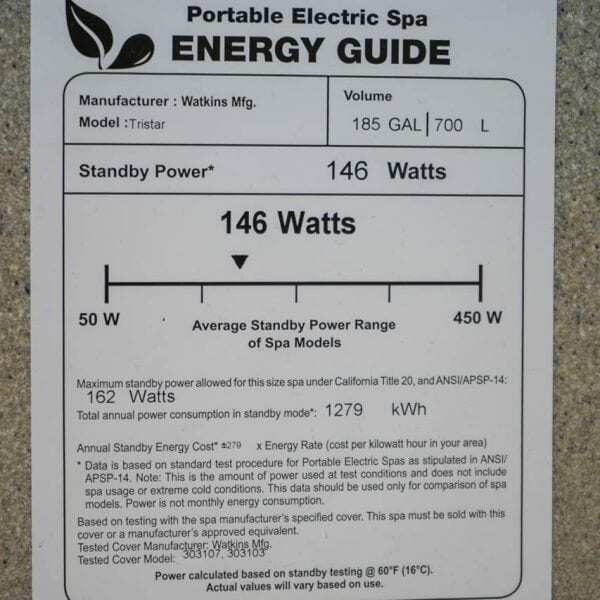 The California Energy Commission regulates portable electric spa efficiency. Regulations related to appliance efficiency in California were established in 1976 to reduce energy consumption. 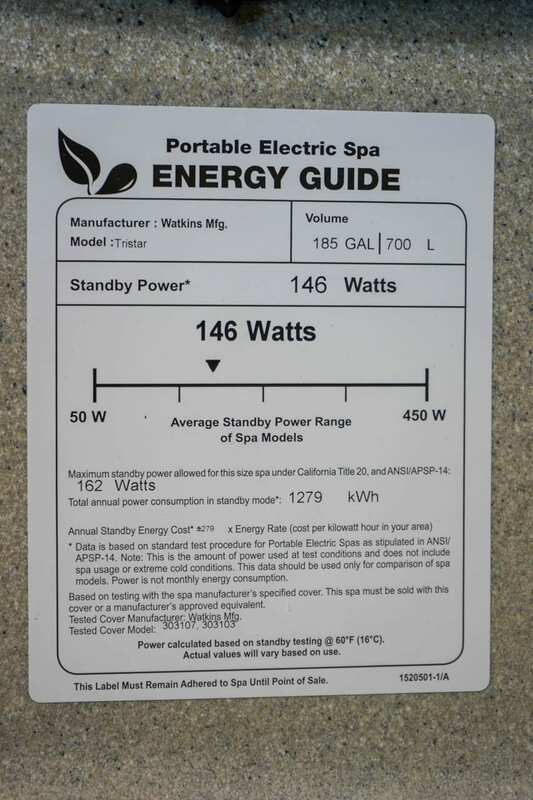 The Commission has a document of over 40 pages dedicated simply to portable electric spa efficiency. 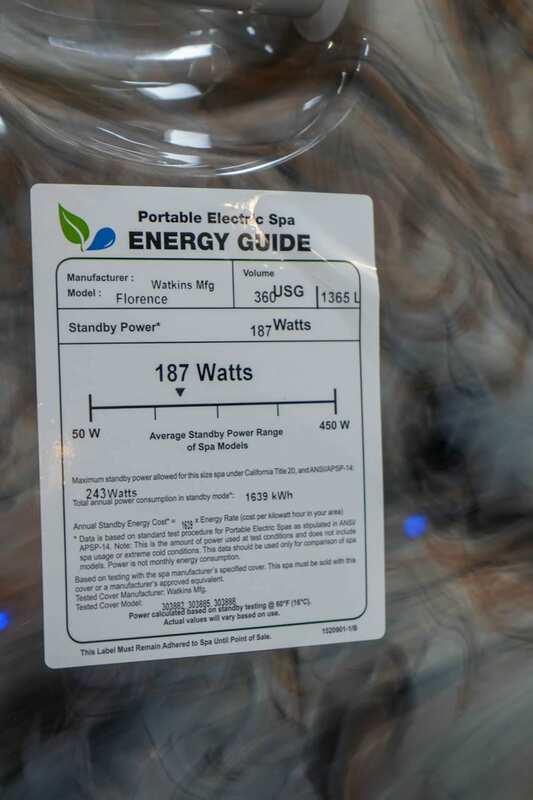 While each spa will vary in the amount of energy it needs, a quick scan of our showroom showed that most models ranged somewhere between 100 and 250 Watts for Standby Power. Standby Power is the amount of power used at test conditions of 60 degrees. This is also known as resting wattage. It does not include spa usage or extreme cold conditions. The information allows you to compare spa models, but should not be considered the monthly energy consumption. 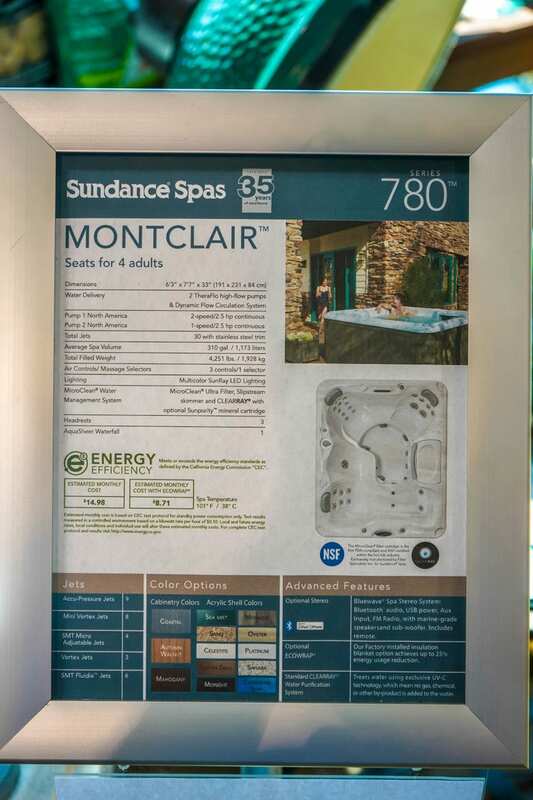 Your energy usage will vary based on the seasonal weather in the Reno/South Lake Tahoe area that we serve, the hot tub model you purchase, the frequency that you use your spa, and the cost of electricity where you live. After you purchase your hot tub, there are things you can do to keep your energy consumption down. Having an air-tight cover will keep in most of the heat, while the spa is not in use. Should you get a leak or find that your cover has become water logged, you should replace it. To purchase a replacement hot tub cover, Click Here. Keeping your filters clean will also lead to optimal energy efficiency by keeping excess strain off the pumps. 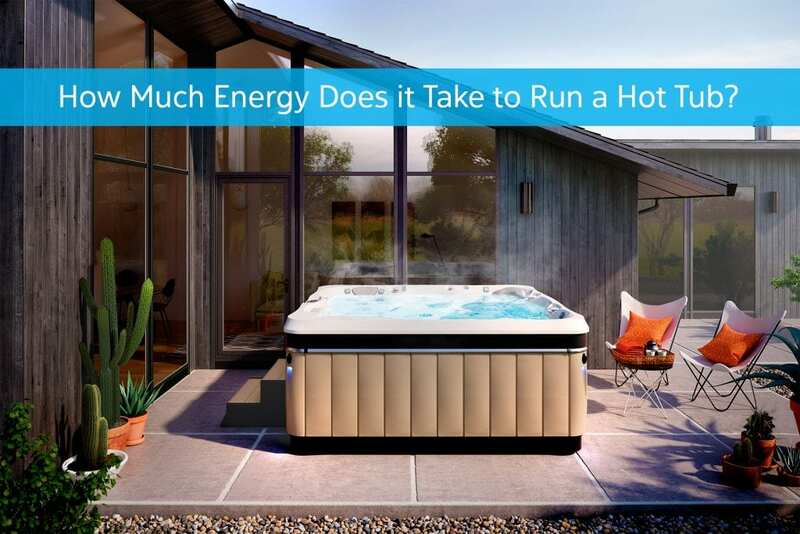 We hope this information has helped you make a better decision when selecting a hot tub for your energy needs or helped you keep your energy expenses down after you’ve made your investment.